I’ve been hearing lots of good things about Resonation Pale Ale from Great Rythym Brewing. They are a new brewery that is currently contract brewing in Ipswich but looking for their own space in the Portsmouth, NH area. I found this beer at Top Shelf Brews in Hampton NH and purchased 3 bottles for me and some other Maine friends. Resonation Pale Ale is currently the only offering from Great Rhythm and it is a very nice hoppy pale ale. The beer pours a deep orange with minimal head. Aroma is mainly hops with some floral, pine and a bit of citrus in there. Taste was pleasant and easy to drink as a pale ale should be. Slightly hoppy but well balanced and very smooth. This is a solid first offering from Great Rhythm and I look forward to future offerings from this small NH brewer. 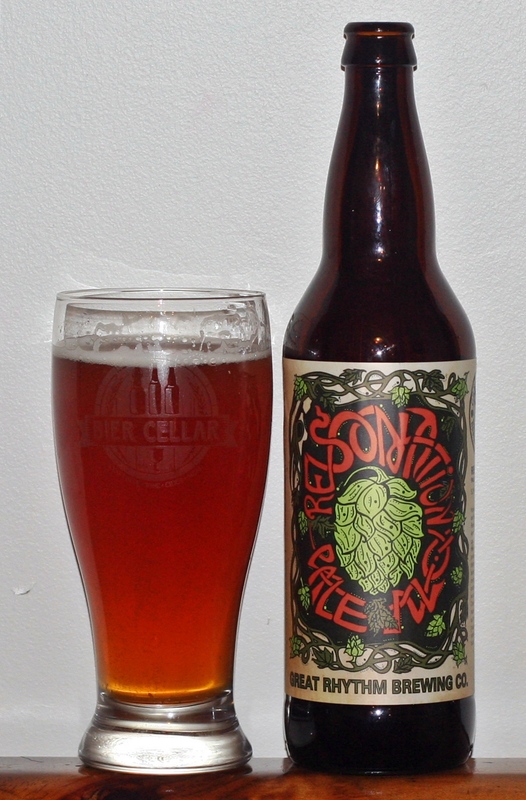 Brewers Description: Inspired by our love of music and love for hops, Great Rhythm Brewing Company’s Resonation Pale Ale is our dry-hopped American Pale Ale; balanced, hoppy, full of flavor and aromas highlighting the complex citrus, pine, and floral character of American hops. We use two row barley malt and select crystal malts to lay down a smooth malt profile while we pack a blend of Pacific Northwest hops into the kettle, as well as the fermenter. This is one hoppy American Pale Ale that is sure to resonate with you and all of the friends that you share it with.